Situation in the combat zone. Russia-backed militants keep using Minsk-proscribed weapons: Russian proxies were using 82-mm and 120-mm mortars daily over the last week. 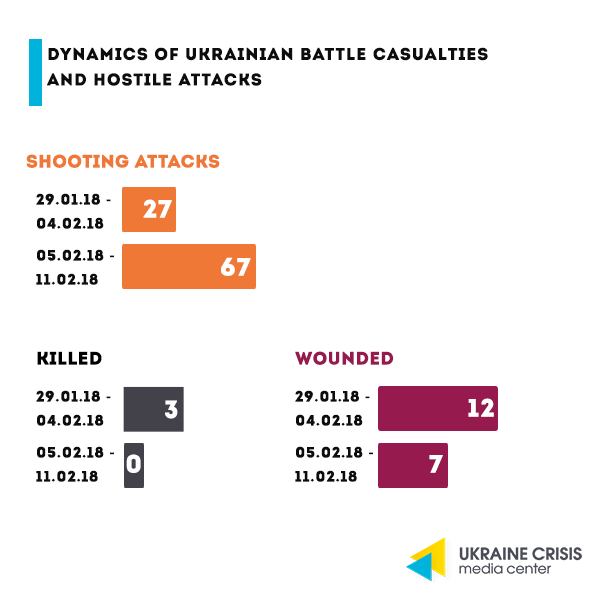 On February 7, militants also used anti-tank missile systems, on February 8 – 122-mm artillery and tanks. Moreover, on February 9 Ukrainian border guard units came under small arms fire coming from the territory of the Russian Federation. OSCE. Last week the OSCE Special Monitoring Mission to Ukraine (OSCE SMM) recorded a 30-percent increase in the number of ceasefire violations in eastern Ukraine compared with the week before. The area Avdiivka-Yasynuvata-Donetsk airport accounted for approximately half of those hostilities – 3200 incidents. The OSCE SMM recorded 91 instances of use of weapons proscribed under the Minsk agreements – an almost threefold increase compared with the previous week. A total of 56 pieces of weapons were deployed in violation of the withdrawal line, 49 of them – in government-controlled areas. An SMM unmanned aerial vehicle spotted seven surface-to-air missile systems in so-called ‘DPR’-controlled Makiivka. Another surface-to-air missile system was spotted near government-controlled Vidrodzhennia. OSCE SMM confirmed that three children had been wounded in Krasnohorivka on February 6. Ukrainian media outlet “Dzerkalo Tyzhnia” teamed up with a charity project “Nebesna Hvardia” (The Heaven’s Guard) to initiate a unique opinion poll held by the Kyiv International Institute of Sociology (KMIS) that saw participating over 1.000 family members of the Ukrainian military killed at war. 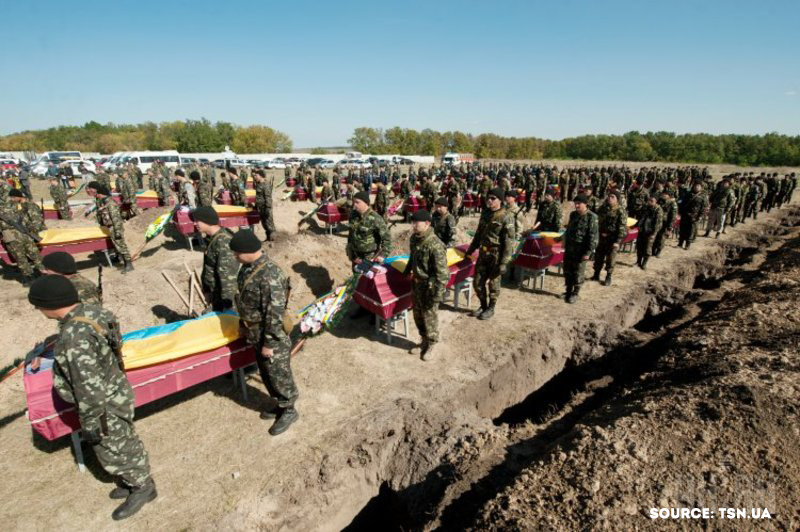 According to the results, 60 percent of the respondents hold authorities responsible for the loss of their close ones at war: 34 percent say it’s foreign, Russian authorities, 13 percent – domestic, Ukrainian authorities; 13 percent blame it on the field military command. Only five percent hold “DPR” and “LPR” fighters responsible in the first place. Seventy-five percent of the interviewed parents, widows, adult sisters or brothers think their loved ones did not die in vain. Two-thirds of the respondents think those who have been fighting against the Ukrainian troops do not deserve amnesty. Almost the same number of respondents do not find it acceptable to pardon the leaders of the pseudo republics. The absolute majority of the interviewed stand for holding liable the organizers of the pseudo-referendum of 2014 which kicked off the war. Seventy-five percent are convinced that after the liberation Donbas needs to get the same rights and powers as the rest of Ukraine’s regions. Fifty-eight percent are of the opinion that in March 2014 Ukraine should have started the combat actions to bring back the annexed Autonomous Republic of Crimea. Only four percent think that combat actions in Donbas are a civil war. 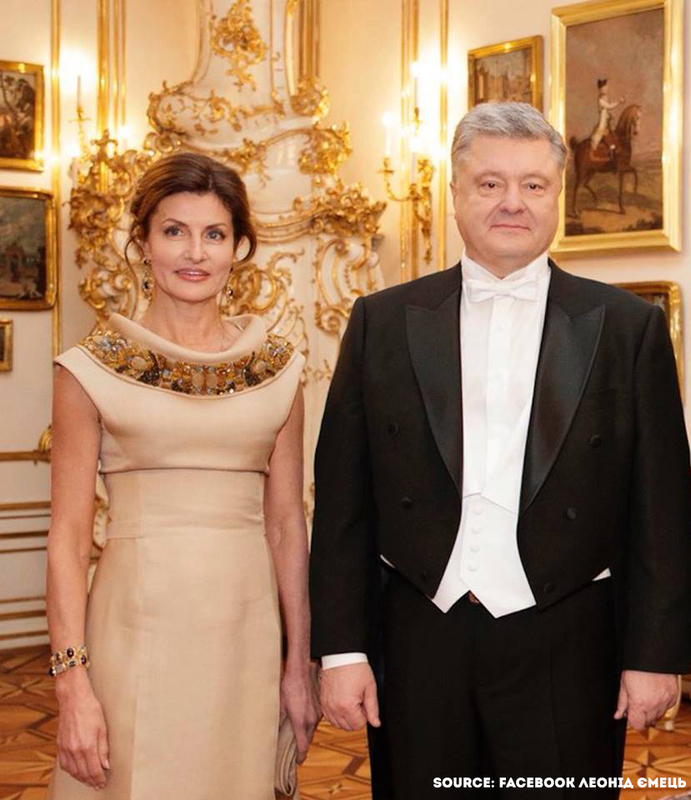 Last week the President of Ukraine Petro Poroshenko visited Vienna, Austria. He attended the Viennese Ball. Some Ukrainian media were openly ironic when covering the event, dubbing the participation in the Ball as an unserious and entertaining step on the part of the President. Some went as far as saying that in such a way he was avoiding addressing the country’s actual problems. Ukraine’s Ambassador to Austria, Oleksandr Shcherba, came up with an explanation, published by the Ukrainian online media outlet “Ukrainska Pravda”. The Viennese Ball as a continuation of politics and diplomacy. The Viennese Ball is not actually just a ball but a projection of politics and diplomacy, the Ambassador reassures. If networking in the US is done playing golf, in Austria it takes place at a ball or during an opera intermission. The specifics of the ceremony imply that the head of the state (the President of Austria) has the right to invite another head of state, just a single one. The chancellor (the head of the government) can extend the invitation to one government head of another state. The Foreign Affairs Minister, in his turn, can invite a fellow foreign affairs minister. Being the personal guest of the President of Austria at the Ball is not just an honor for the invitee alone but for their country on the whole. Thus, the visit is meaningful to Ukraine. Other honorary guests this year included the Prime Minister of Ireland and the Foreign Affairs Minister of Bulgaria that is currently holding the EU presidency. Agreements reached. The President of Austria Alexander Van der Bellen was hospitable and interested in Ukraine. He is coming to Ukraine in mid-March with a three-day official visit. Final strokes were negotiated to have the bilateral Agreement on cultural and educational cooperation signed in March. The agreement also mentions the future Ukrainian Institute in Vienna. Economic cooperation was also on the agenda. As a result, the President of Austria will come to Ukraine with a business delegation, and an economic forum will be organized in Kyiv. What President Poroshenko said. Ukraine is content with the dynamics of the bilateral relations with Austria both in politics and economics. It hopes for further support, in particular, as to its position on Donbas, President Poroshenko said. “We have held very fruitful and useful negotiations with Mr. President. We have discussed the commemoration of the 25th anniversary of our diplomatic relations and the expansion of economic cooperation,” the Ukrainian President said at a joint press-conference with the President of Austria Alexander Van der Bellen in Vienna. According to the Head of the Ukrainian state, bilateral trade between Ukraine and Austria grew by 17 percent over the last year. What the Federal Chancellor of Austria Sebastian Kurz said. The Federal Chancellor Sebastian Kurz said his country supports the idea of deploying a peacekeeping mission to Donbas, he also said he supports the idea of his country having a possibility to take part in this project. “This subject is right. We support this idea,” Kurz said at a joint press conference with Ukrainian President Petro Poroshenko in Vienna, Austria. “My understanding is that until this happens, many talks will be held, many steps will need to be taken,” the Federal Chancellor added. The National Anti-Corruption Bureau vs the Office of the Prosecutor General: a truce or the end of the standoff? The Office of the Prosecutor General’s take. Yuriy Lutsenko, the Prosecutor General of Ukraine, said that the public standoff between the Office of the Prosecutor General and the National Anti-Corruption Bureau that took place in late 2017 was a mistake that must not be repeated. Diplomatic sources as quoted by the media also confirm that officials had their lessons learned from what happened in December 2017. The time will show whether the two agencies will be able to work hand in hand, if the pressure on the anti-corruption agencies will stop and whether the Anti-Corruption Court will be established as per the Venice Commission’s recommendations. Blocking “Radio Vesti”: assets recovery or impeding journalistic work? 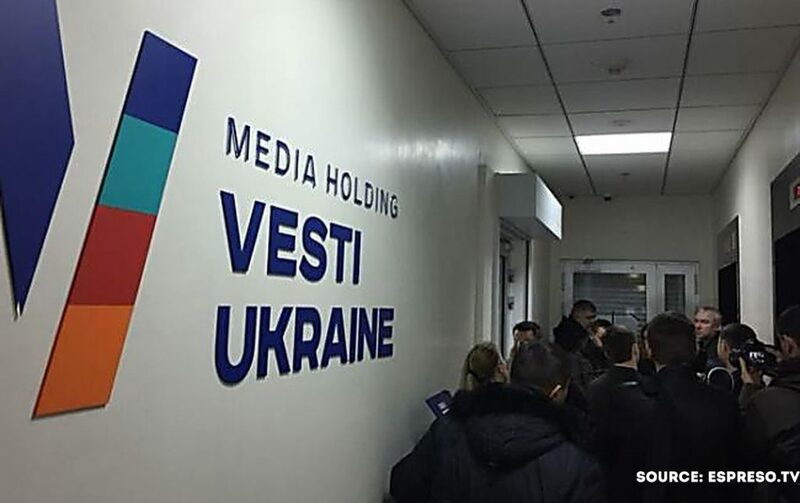 On February 8, the premises of Ukrainian broadcaster Radio Vesti were blocked by law enforcement and thus its journalists were not able to get to their working places. Radio Vesti is part of the same group of companies as the same-name “Vesti” newspaper. Radio Vesti has a reputation of an objective and balanced media outlet. Journalist Pavlo Sheremet killed in 2016 used to work there as well. The pressure on the media thus caused vivid public discussions both at home and internationally. Claims of pressure upon the freedom of expression. Journalists of the media stated that their professional activities were being hampered. According to the editor-in-chief of Vesti newspaper Oksana Omelchenko, the staff of the media were not allowed to their working places, the lawyers were not allowed to the place of searches either. In recent years due to financial and regulatory problems, and as a result of non-extension of the broadcasting license the group of companies Vesti saw the audience of its radio station drastically shrinking, it also had to give up the practice of distributing its newspapers for free. The management of Vesti has continuously stated that the majority of the claims to their company stem from political reasons and are an example of pressure upon an independent media. Pressure on media in Ukraine is unacceptable, OSCE said in a statement quoting among other examples the case of Vesti. Who is the owner of “Radio Vesti”? The media company is thought to have links to the former Minister of revenue and duties in the Yanukovych government Oleksandr Klymenko. Since 2014 Klymenko has been staying abroad, nevertheless trying to take part in Ukrainian politics by chairing the party “Uspishna Krayina” (Successful Country). 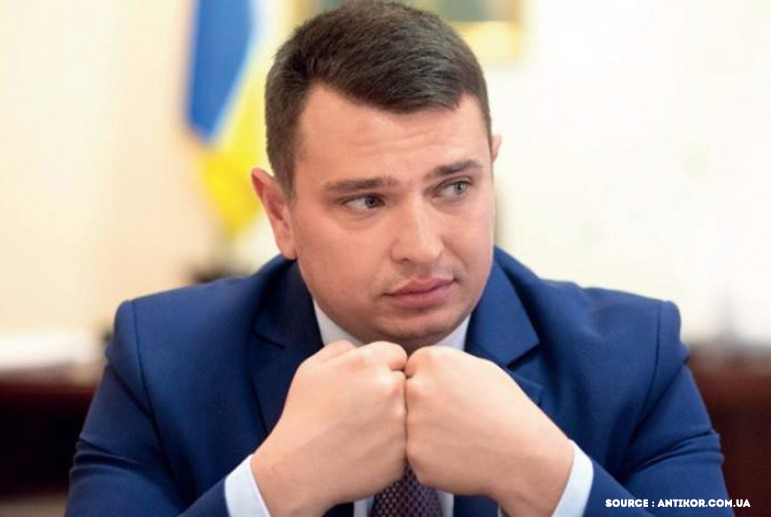 The fugitive ex-Minister is denying any ties with the media company, however, since 2015 his common-law wife Olha Semchenko has been managing the company. A balanced media or a political tool? It’s hard to accuse Radio Vesti of non-objectivity or of promoting a certain ideology. The editorial team is a group of professional journalists who claim they are not subject to censorship or pressure on the part of the owner. They add that the owner does not interfere with the editorial policy. At the same time, Vesti newspaper that is also part of the media company is a different thing. Since 2013, it has been accused of relaying propaganda, manipulations, and biased reporting. Thus, the two media belonging to one company are sporting two opposite strategies. It might be that Radio Vesti is part of the game and is actually a tool to win the audience’s trust. Ahead of the election campaign of 2019, it becomes even more important. The position of the Military Prosecutor’s Office. The key argument of the prosecution is that their actions target not the media itself but its owner and his assets. Last year, the Chief Military prosecutor Anatoliy Matios commenting on the investigation of the case in which the media company is featured, stated that it is being financed with the money that Oleksandr Klymenko obtained through the abuse of office. Matios also said that the investigation discovered that in 2010-2013 Klymenko founded a series of offshore companies in the British Virgin Islands, in Cyprus and Lichtenstein. The final beneficiary of those companies was Klymenko’s father. The money in question amounts to $800 million. Poland. 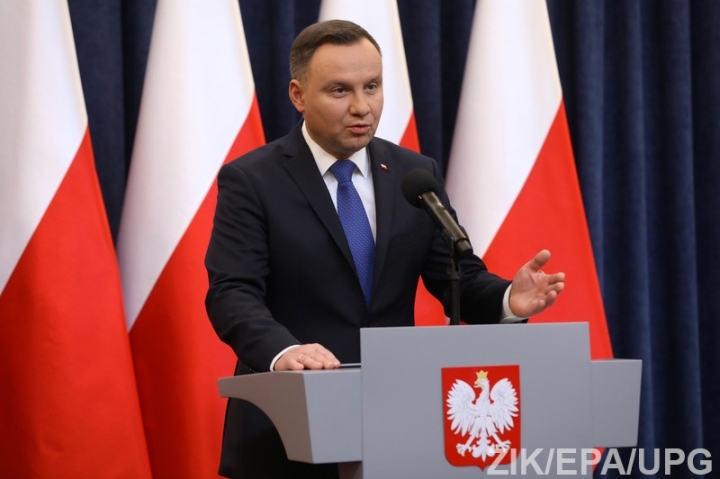 The President of Poland Andrzej Duda will sign the amendments to the Law on the Institute of National Remembrance – the Commission for the Prosecution of Crimes against the Polish Nation, that foresees, in particular, liability for the “crimes of the Ukrainian nationalists”. The updated law will then be sent to the country’s Constitutional Court. The Polish President noted that the law in question is not new, it was already subject to a discussion last year including during his visit to Israel. The Head of the Polish State also said that maintaining good Polish-Israeli relations is of utmost importance to him. The Ukrainian Parliament adopted a statement communicating its disappointment and concern over the approval of the amendments to the Law on the Institute of National Remembrance by the Sejm and Senate of Poland. Head of the Ukrainian parliamentary committee on foreign affairs Hanna Hopko expressed concern over the mounting anti-Ukrainian moods in Poland and said she is of the opinion that the law in question passed by the Polish Parliament might be used as a pressure tool upon the Ukrainian community in Poland. Hungary. Ukraine and Hungary have managed to agree on several key issues of the bilateral agenda, said Deputy Foreign Affairs Minister Vasyl Bodnar. “Being cautiously optimistic, we herewith report that the long-lasting negotiations with the Hungarian side resulted in agreeing upon the key positions: settlement of the ‘language issue’, the introduction of the joint border control and development of the border-adjacent infrastructure. Step by step, we’re heading towards the normalization,” the diplomat wrote on Twitter on February 7. At the same time, the meeting of the Ukraine-NATO commission is not on the agenda of the meeting of the Defense Ministers of the Alliance member states on February 14-15, apparently, it has been blocked by Hungary. The Ministry for Foreign Affairs and Trade of Hungary claims that agreements with the Ukrainian side on the language-related article of the Ukrainian law on education have not been achieved. He adds that the Hungarian government will stop blocking Ukraine’s international aspirations only after the Hungarians of Ukraine’s Zakarpattia will have confirmed that the agreements were made as to each and every detail of the law. Ukrainian MP Iryna Fryz stated that the position of Hungary that actually took to blackmailing is not just counter-productive, it also undermines the European security.